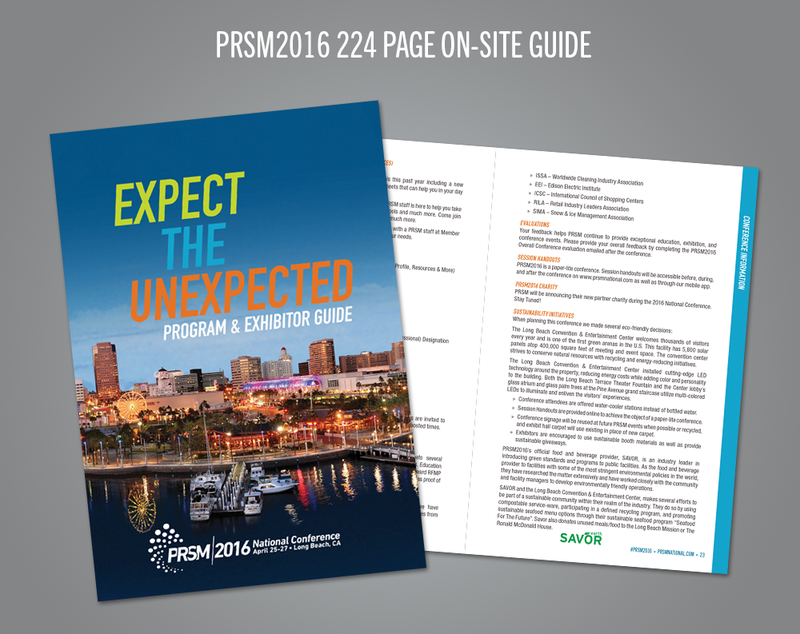 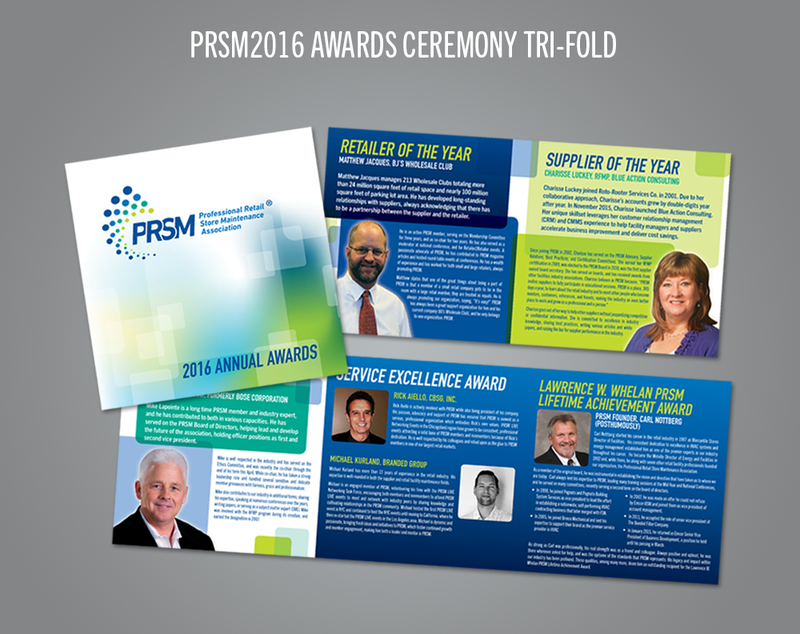 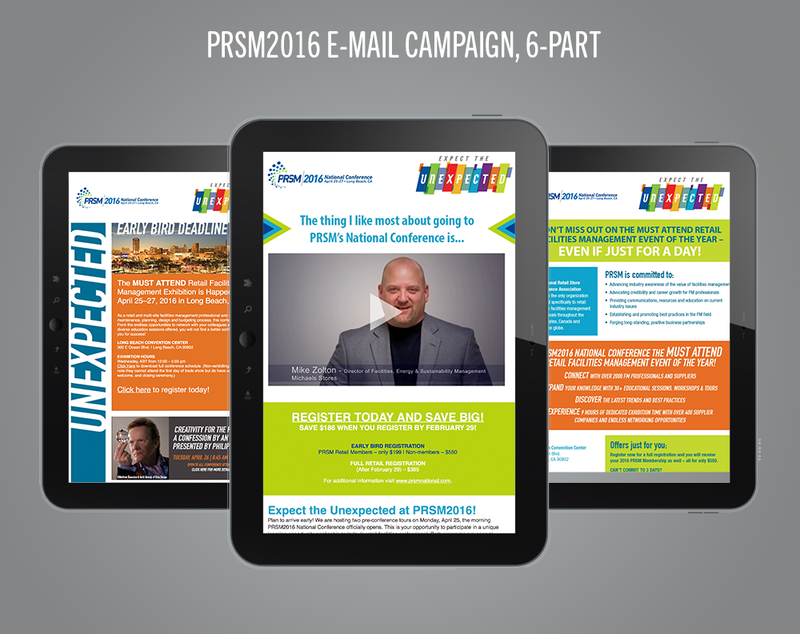 The Professional Retail Store Maintenance Association (PRSM) had a special challenge. 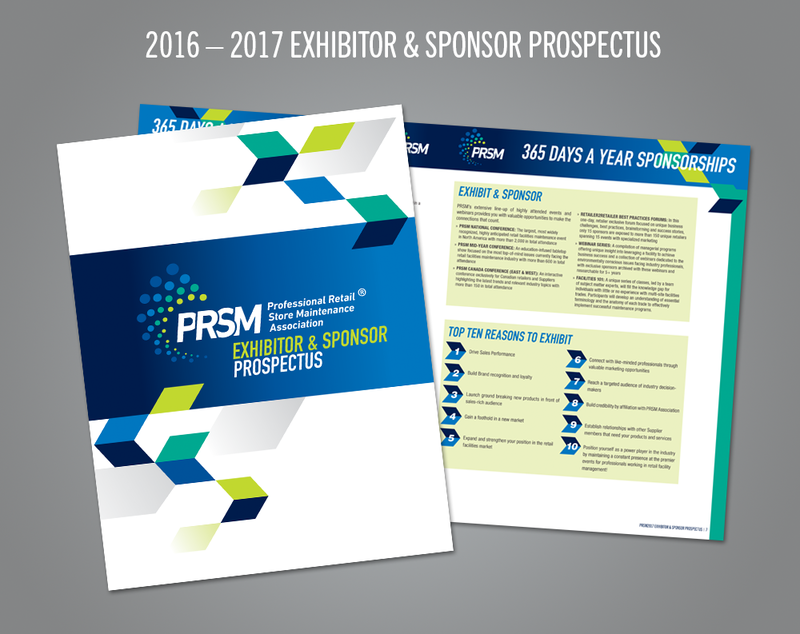 They’re annual meeting was fast approaching and, due to some staff changes, they needed assistance with marketing their keystone event. 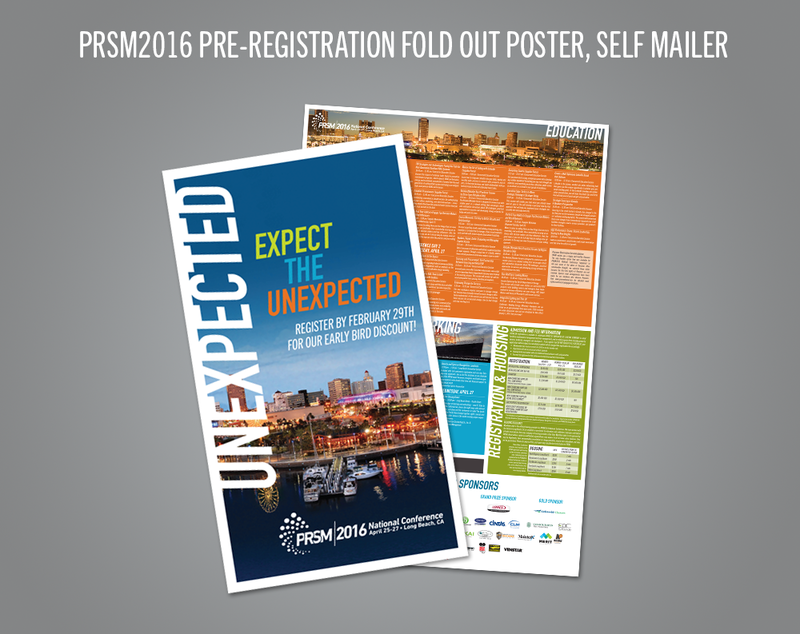 Rainmaker Advertising served as their outsourced marketing and graphic design firm for the four months leading up to their national conference by developing it’s signature piece, a self-mailing poster that introduced key facts about the event and a schedule of events. 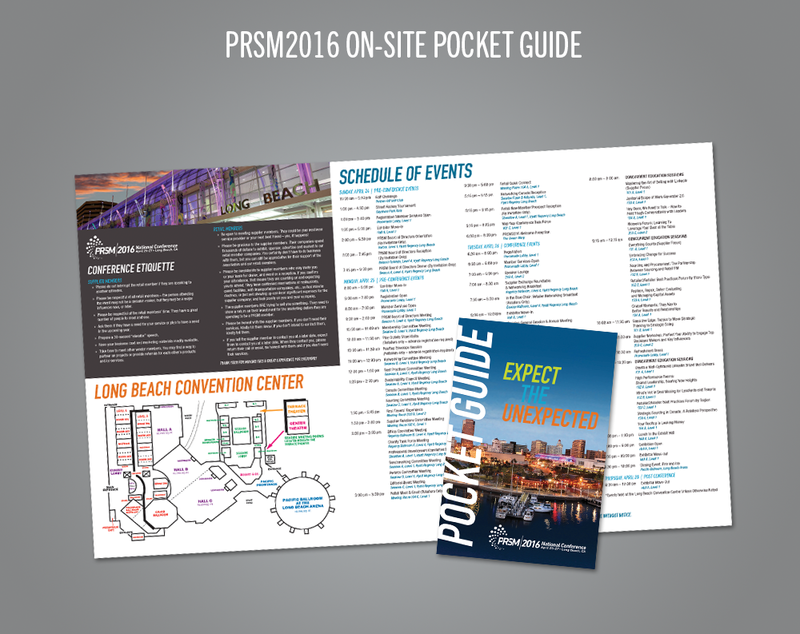 Other components of the event promotion included a 6-part email marketing campaign, a 248-page onsite guide, a fold-out event map and a 20-page exhibitor prospectus for future events.